I want to talk to you a bit about your Wonderful Life. In the Movie, It’s a Wonderful Life, George Bailey lives in Bedford Falls. A man of big dreams and high aspirations. Yet, he spent his whole life helping others all the while his own plans are ruined. He never gets where he wants to go. George is stuck. He is frustrated. Ultimately, he is suicidal because of a bad business transaction. He finds himself angry at the world and proud of nothing. Then, he has a “come to Jesus” moment, when God leads in through this life and he sees first hand the value of his life. He sees the deep meaning below the meaningless surface. Let’s check out this spoiler footage at the end of the movie when he realizes he has a wonderful life after all. CLIP ONE George comes down stairs happily with family. He is led with his wife to the living room where he is about to receive a bunch of money. STOP! Hang on a second. I want you all to see a very profound truth in life that is clearly defined in this movie. You might skip over it if you don’t watch closely. When we see George here he is ecstatic, yet he has no clue (THIS IS VERY IMPORTANT) at this point that he will receive any money. When he is walking down the stairs, he still believes that he owes $8000, his business is a total failure, that he will loose his possessions. REWIND THE TAPE AND LETS SEE IT AGAIN. Rewind and start scene over. Ok, right here George has no idea that a blessing is coming. For some reason, he is profoundly at peace and has joy in the midst of his dark financial and future reality. Then, we see the grace of God displayed as the community comes and drops all this money on his table. Now, he not only has peace, but he also has blessing and understanding. So, how did George find peace before he found his reward or blessing? Some folks in here today, might not have talked to God in a long time, or you have not been focused on God. You are not a praying person, but you find yourself in the place needing the magic of Christmas to overwhelm you. Let’s talk to God, today. The good news is that He is listening and ready to move. There is peace in His manger that precedes your blessing. There is peace available to you today is not based on the fulfillment of your dreams. There is a peace from God that surpasses understanding. It guards your heart and mind. Philippians 4:6 Don’t worry about anything; instead, pray about everything. Tell God what you need, and thank him for all he has done. 7 Then you will experience God’s peace, which exceeds anything we can understand. His peace will guard your hearts and minds as you live in Christ Jesus. Before we go to the next verse, let’s make sure we understand that last line. “His peace will guard your hearts and minds AS you LIVE IN Christ Jesus.” Live in the truth of who Jesus Christ is. Why he came and what he accomplished. Can you imagine what it would look like to live in a village of 100 people your entire life. The village is in a remote, mountainous area of central Guatemala. About 30 minutes down a rough 4×4 path to the nearest small town. Marry a guy from the village and raise 6 kids. Then, after your kids are almost grown, you husband leaves you. Two years after your husband leaves, 2 of your sons are murdered. This is the story of Dora Flores Morales. She found herself single. No support. Heartache from divorce and then the despair of loosing two children. She cried out to God and God’s response was, “I need you to lead the church of the village.” Not exactly the message she thought she would hear or wanted to hear, but she was obedient and began to lead the only church in the village of Las Joyas. Check out this video of a prayer session I captured of this church praying to God for provision. God’s peace moves towards her and envelopes her. She gives all the glory to God for the amazing peace she feels that passes all understanding. How could you be at peace and live in these conditions? Don’t worry about anything; instead, pray about everything. Tell God what you need, and thank him for all he has done. Then you will experience God’s peace, which exceeds anything we can understand. His peace will guard your hearts and minds as you live in Christ Jesus. Dora has no idea, but we are about to walk to the front and start dumping money in this manger just like the community did for George. George had no idea it was going to happen and as the people of Las Joyas prepare for Christmas this season, they have no idea that there is a group of people in San Marcos, Texas about to sacrificially give so that their community can have fresh water this year. So that their kids can have a safe place to learn this year. A new water system for the whole village. A fence, bathrooms, a new roof and playground at the school. Today, we are going to participate in the blessing of a whole village. They have been praying for God to help them with their needs. So many great needs in this rural village of Guatemala. When Erica and I were there this summer, we captured this video of them praying for God to help their need. If you are new and haven’t heard about what we are doing, we are taking up a special offering right now that will 100% go to reach people outside of these walls. We have a 5 year plan to completely transform the village of Las Joyas. In 2016, we will start with water and school. We are also going to start other campuses of PromiseLand in surround areas: Lockhart, TX State, etc. You should have been given a card when you walked in today. If you didn’t get one, we want to hand you one now. Raise your hands and we will get you a card. 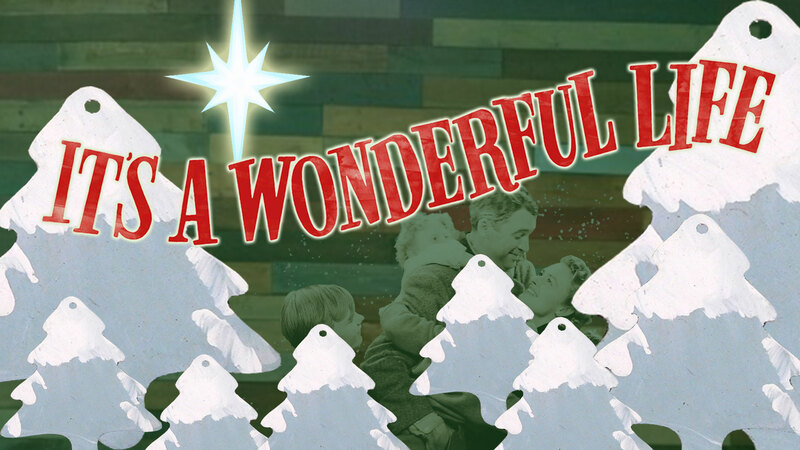 Posted on December 21, 2015, in Sermon Notes, theology and tagged christmas offering, Christmas peace, It's a wonderful life sermon, Philippians 4:6, Philippians 4:6 sermon notes, Special Christmas offering. Bookmark the permalink. Leave a comment.